First of all, please excuse the wonkiness that is going on with this blog. Hubs is converting me to WordPress! I’m only 5 years late to that party. Second of all, in regards to my bed conundrum, apparently not a conundrum for you people. Pewter won by a landslide. And you gave me good reasons to choose it. 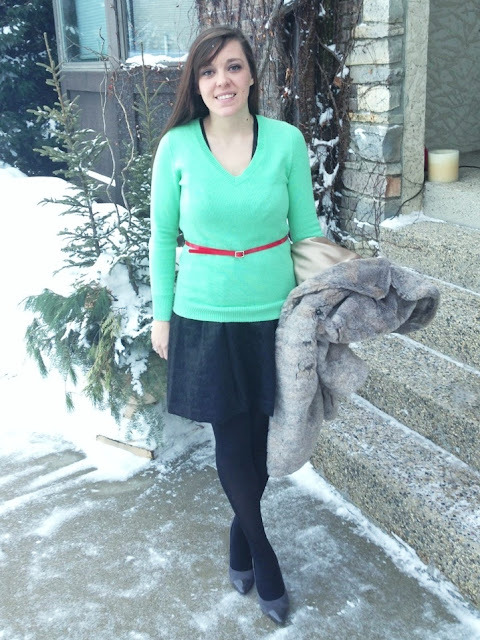 And now, here are pictures of me in a cute outfit freezing my buns off. I wanted to wear my patterned tights with this dress to break up the sea of black. I can’t find them anywhere. I last saw them over Christmas in Omaha. Baby sister I’m looking at you! If you have those tights hand them over! This is the first time I’ve worn heels outside in a long time. I needed to feel like a girl. 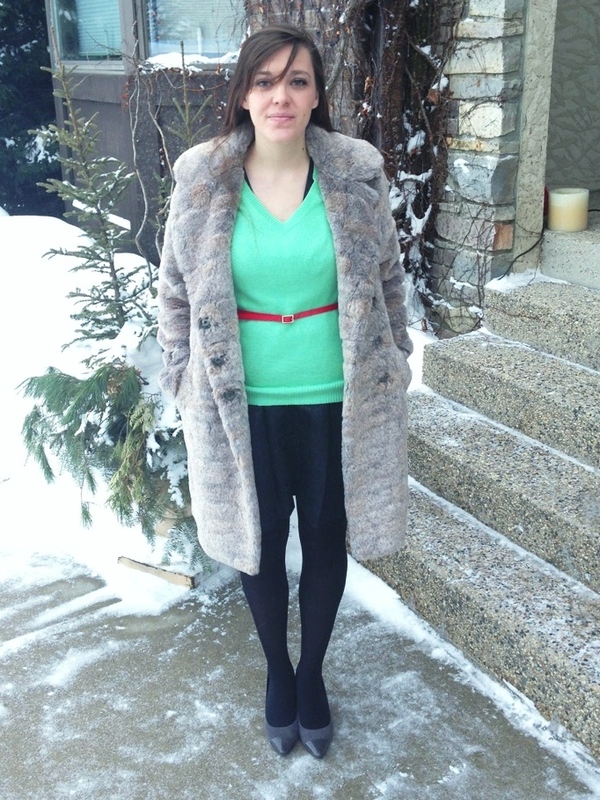 Snow be damned I will look like a lady!